Maruti Suzuki India seems to be recovering from the gloomy sales charts with the help of Maruti Swift and Maruti Swift Dzire. 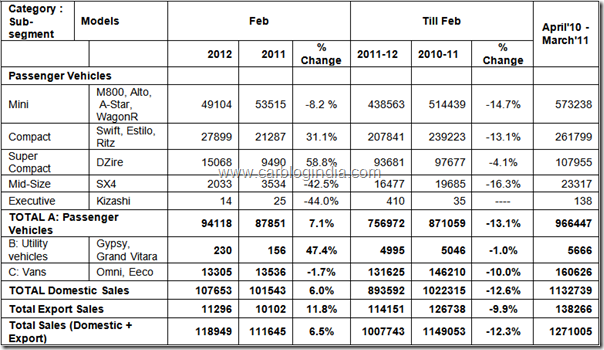 As per the official sales data by Maruti Suzuki India, it has sold a total of 118, 949 units in February, 2012 a growth of 6.5 %. This includes 11,296 units for export, a growth of 11.8%. 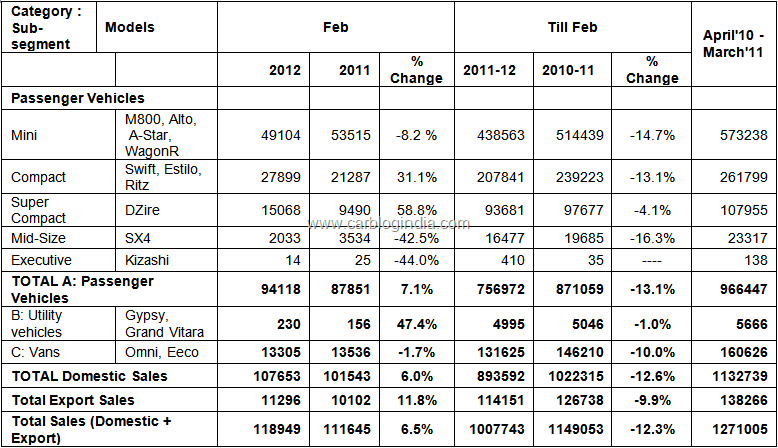 The company had sold a total of 111,645 units in February 2011. 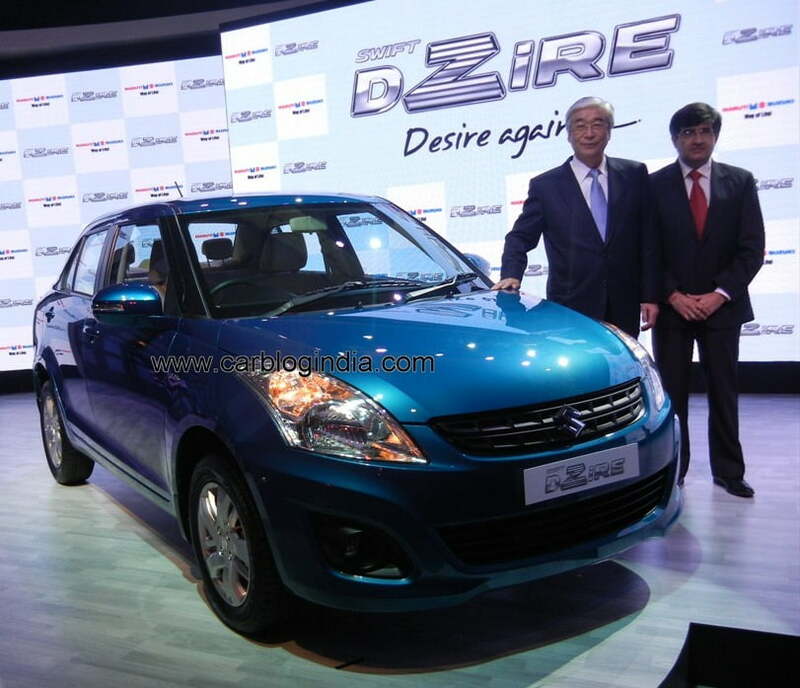 Important points to note however is that the sales is mainly accelerated by strong growth in sales of Maruti Swift Dzire 2012 new model which has been launched on 1 Feb 2012 and has been attracting good sales. Apart form this, after normal production at Manesar plant in Haryana, the deliveries of Maruti Swift 2011 have also normalized. Also Maruti Suzuki has started sourcing CRDI Diesel engines from Fiat which has also helped in smoothening of the diesel Swift production which is in high demand. Another important point worth noting is that there is a drop of about 8% in small car sales in the segment of Maruti 800, Maruti Alto and Maruti Wagon R. This is probably because of higher petrol priced and sluggish economic growth in India. Also there is a major drop in the sales of Maruti SX4 sedan because of intense competition posed by cars like Hyundai Verna Fluidic, Honda City 2012, Volkswagen Vento, Nissan Sunny and Skoda Rapid which have been providing stiff competition to SX4 in terms of features and value for money proposition. With launch of Maruti Ertiga which is due in few weeks from now and also Maruti Ritz 2012 which has been spotted testing, things are expected to get even better for Maruti. We will keep you posted on the new development. For latest updates, sign up for our free email newsletter and like our official Facebook Page.